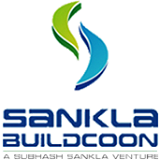 Established in the year 1992, Sankla Buildcoon is a reputed enterprise focused on catering leisure, comfort and class living at affordable prices. Lead by Subhash Sankla, members of PBAP Pune, Sankla Buildcoon is organization with interest in commercial properties and residential properties. With a strong belief in quality of production and understanding end customer’s desires, Sankla Buildcoon has been successful to earn repute in the city. Constructing more than half a Million Sq.Ft of Residential and Commercial spaces across Pune. Previously constructing and developing as Palresha-Sankla Associates we have created benchmarks with thousands of satisfied customers across Pune city. Every project from Sankla Buildcoon till date has come up with ample space, greenery, children’s play area, the best of all amenities and specifications. Moreover, principles of VastuShastra are also intensely followed in every construction of Sankla Buildcoon. Every development constructed over last 19 years tells a story of endless creation, quality and class embarking professionalism whilst others to be urbanised over a period of time. Sheetalpark, PS Towers, PS Heights, PS Plaza, PS House, PS Terrace and Princeten town are some of the proud examples that showcase Sankla Buildcoon’s creative contribution in construction industry. Every Project of Sankla Buildcoon is made possible with successful joint ventures with giants of the construction industry. With such strong background, Sankla Buildcoon has become a name to trust, while all its projects stand as a testimony to the same across Pune city.